Have you been in a cycle of trying to groom a beard only to end up shaving it off after every attempt because your facial hair always grows out wiry? There is nothing more annoying than beginning to grow a beard only for the facial hair to sprout out looking extremely dry and coarse. Most guys who face this problem end up just shaving the mess off and calling it a day. But before you grab that shaver or pair of clippers, you should know that there’s still time for you to turn things around. Although genetics plays a great role in determining the texture of your facial hair and the level of thickness of your beard, with a bit of effort you’ll be able to achieve a soft and manageable beard. With that said, here are a few handy tips for defeating the wiry beard. While this may not be the best or the most effective way to deal with wiry facial hair, sometimes letting your beard continue to grow is all it takes to overcome a wiry beard. If you’re lucky, the issues with your facial hair will work themselves out and your beard will become softer as time goes by. However, if this trick does not work for you, do not despair as there are several other things you can try out. If growing out your beard does not do much to keep your wiry beard under control, using a beard conditioner regularly can help you to defeat stubborn wiry facial hairs. The best beard conditioners in the market come in the form of waxes infused with natural ingredients, and they contain the right amount of moisture needed to keep both the facial hair and the skin underneath it smooth and silky for hours on end. Beard wax offers you the best chance of preventing your wiry beard from becoming unruly and wild. Beard balm and oils offer you the best way of defeating a wiry beard for two main reasons. 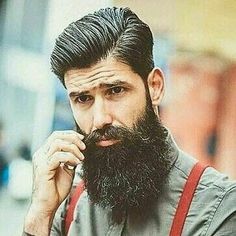 For starters, some of these balms and oils are specially designed to stimulate beard growth and will therefore help your beard grow in the manner that it’s supposed to when you use them. Secondly, beard oils and balms contain essential moisturizing ingredients that coat every strand of hair on your face. As a result, these grooming products condition your beard by helping it to become softer and easier to manage. Using beard balm or oil will not only help to prevent wiry facial hair, it will also make it easy for you to style your beard. For best results, apply your beard oil or balm daily after washing and drying your face. Since your hair follicles and pores are open at this time, they will easily absorb the cream or oil and thus make these beard products more effective at fighting wiry facial hairs. While genetics is the main cause of a wiry beard, your daily lifestyle habits can also cause facial hair to grow coarse. Making a few lifestyle changes can help increase your chances of defeating a stubborn wiry beard. Some of the changes include exercising, eating right, getting enough sleep, and drinking plenty of water and healthy drinks. All of these changes are very effective at softening the rough texture of facial hairs. When your insides are radiating with health, it shows on the outside. Combing your facial hair regularly is not only an effective way of softening your beard but it’s also one of the best ways to prevent a wiry beard. Combing the beard increases blood flow to the hair follicles thus enabling healthier beard growth. 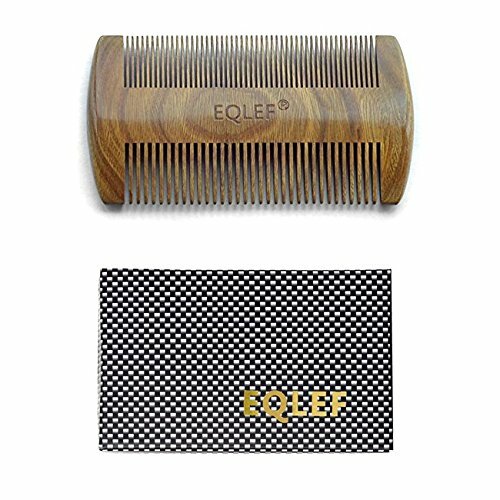 Additionally, combing your beard softens hair follicles and also distributes the natural oils of your skin onto your facial hair. Finally, proper grooming techniques can help to defeat a wiry beard. You should make it a habit to keep your beard clean at all times as impurities and dirt can cause shaggy and coarse beard hairs. Growing a beard can be an option for making a fashion statement or a great way to skip the boring and tiresome routine of shaving your facial hair every morning to achieve a clean-shaven look. However, it can be quite annoying (and not to mention – shameful) when instead of your beard turning out the way you want it to, your beard comes out wiry. Luckily, we live in modern times and you don’t have to give up on your dream for a long and thick beard as the above tips can help you give your beard the amount of hydration it needs to remain healthy and soft. As you have grown your beard out read through some of our beard trimmer reviews about the best beard trimmers to keep your beard looking proper over time.